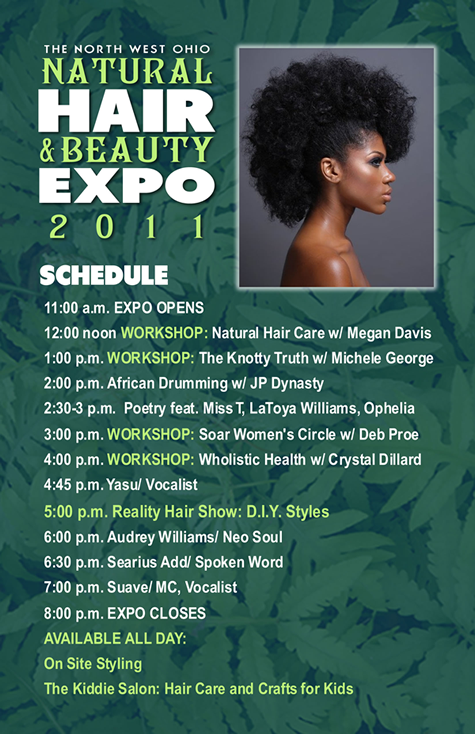 Suave will be the featured artist at the Northwest Ohio Natural Hair and Beauty Expo in Toledo, OH on October 15, 2011. Spoken word artist, Ophelia, will be there, too, so make sure you get your tickets and come out! Posted on 10/07/2011, in Live Shows, Spoken Word and tagged Natural Hair, Ophelia, Suave, Toledo. Bookmark the permalink. Leave a comment.